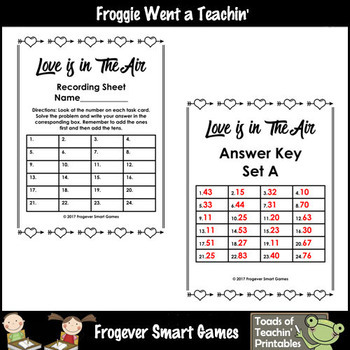 Two-Digit Subtraction No Regrouping -- "Love is in The Air"
***Click Preview Button to see more samples of what is included in your download. 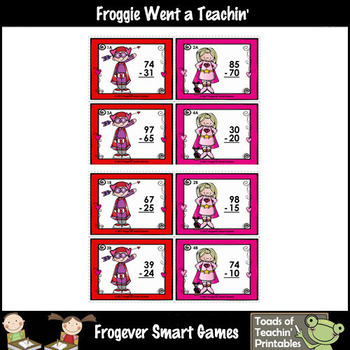 Skills: Children will subtract two 2-digit numbers without regrouping. Grade Level: First Grade through Second Grade, Special Education, ESL (appropriate for Second Grade Students who are working below grade level. 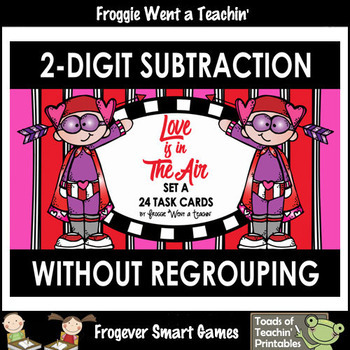 Your download includes 2 Activities. 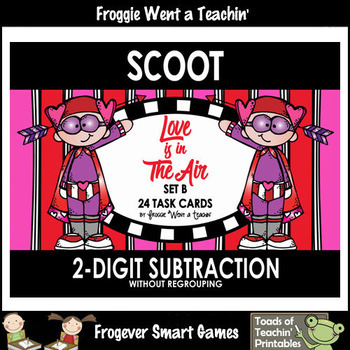 Task Cards can be used in a variety of ways. Another suggestion would be to use them as Wipe-Off Cards with a wipe-off marker.